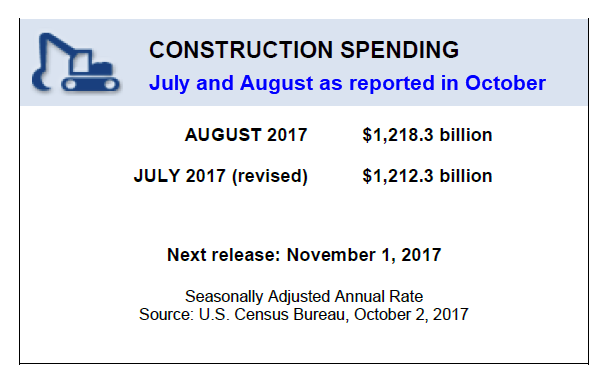 The construction spending report from the Census Bureau is the biggest crapshoot in the entire lost of government reports. Historically, the Census Department makes huge revisions date back as far as 10 years. 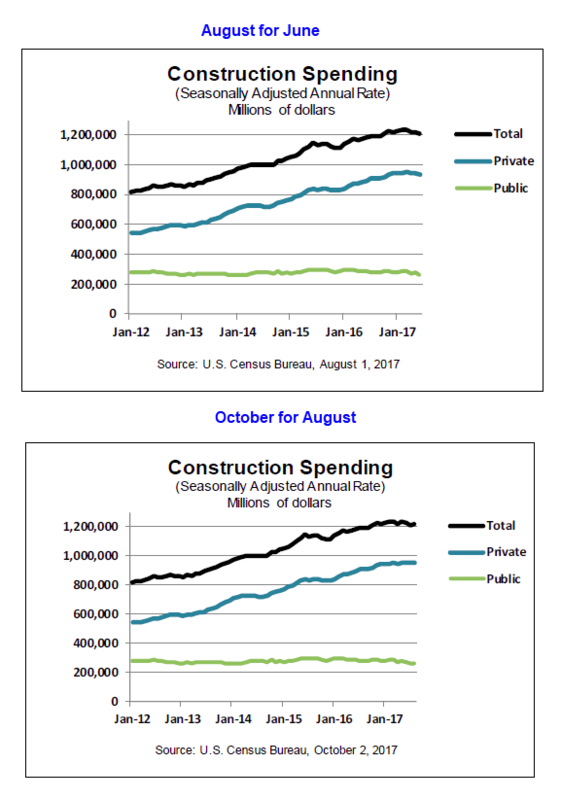 Today Econoday notes construction spending is up 0.5%, the first increase in three months, but that follows huge revisions. The construction spending report is often volatile and today’s results are an example. 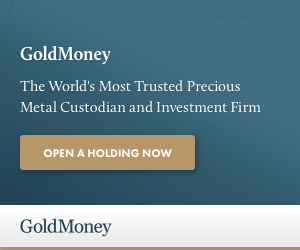 The headline is up a solid 0.5 percent in August but July’s decline, initially at 0.6 percent, has been downgraded sharply to minus 1.2 percent. Spending on residential construction rose 0.4 percent but July’s initial increase has been cut in half to 0.2 percent. Yet there is standout August strength in multi-family spending which rose 0.9 percent but is still short of reversing July’s 1.2 percent decline. Single-family spending is constructive, at 0.3 and 0.4 percent gains the last 2 months. Home improvements are also positive, with gains of 0.5 and 0.3 percent. Turning to the nonresidential side, spending rose 0.5 percent but follows declines of 1.4 and 1.2 percent in the prior 2 months. Transportation is leading the way in this group, up 4.4 percent on the month and 17.6 percent on the year. Manufacturing is the laggard, down 4.3 percent in August for a yearly 20.8 percent decline. Public building has been weak all year though educational building did rise 3.5 percent yet is still down 2.8 percent from a year ago. Federal spending fell 4.7 percent in the month for an 8.3 percent decline. Overall construction spending shows only a 2.5 percent year-on-year rise despite a very favorable 11.6 percent increase in residential construction. Yet residential starts and permits have been uneven pointing to the risk of slowing in the months ahead. The Econoday synopsis does not do justice to what really took place. I downgraded my final estimate of second-quarter GDP to 2.5% largely because of construction spending. On August 1, I wrote Construction Spending in June Collapses: Negative Second Quarter GDP Revisions Coming Up? Today we see this revision to June. It’s October, the fourth quarter is underway, and the census department is still revising data for start of the second quarter. 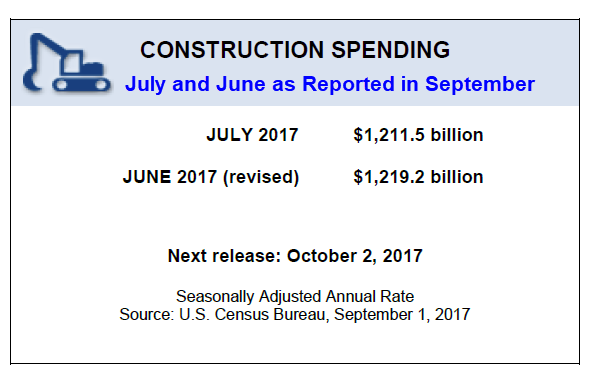 June construction spending initially reported, was 1.3 percent below the revised May estimate of $1,221.6 billion. Today we see June was $1,226.4 billion. Thus, the initial 1.3% decline to start the second quarter morphed into a 0.4% gain. July was bad primarily in context to an upwardly revised June. Add it all up and it looks less negative than originally reported. I took the construction report and revised retail spending reports into my final second-quarter estimate, reasonably so, at least I thought. YOU are playing in THEIR casino. Government statistics seem to have little meaning at the end of the day. About those revisions, umm, they were actually better than prior. A case of prior prior being revised UP more than prior (being revised UP). Yes, I am very surprised the econoday parrot did not see it. Then again, it is a parrot. Construction looks toppish but the revisions were positive. August residential construction spending is up a healthy and robust 11% Y/Y. Five strong years of growth. Well done America. Record low interest rates … 3% down GSE mortgages … and we’re back to 2004 level. even w/ help the garbage gov’t. stats, the US economy is a shadow of it’s former self. GSE mortgages + donated tax credits from corporate donors. It’s a far cry from the mostly old standard 20% down payment that left the lender with a bit of cushion. How long has it been now since there has been any skin in the game… I lost track. Before making such statements, how about looking at the data. Specifically, look at the quality of loan originations in the July report and the rate of high LTV in the June report. Are we back to everyone purchasing with 20% down? Hell no! Are we back to the crazy loan products of 2008? Hell no! But we are back to a ‘healthier’ mortgage environment. Look at the graph and notice the downturn at the top. Well according to you its a good sign! Look at the graph for the whole year so far. There were downturns in ’12, ’14 and ’15 too. Now let’s see how far the one this year goes. At what point does construction bump up from Florida , Texas and Puerto Rico rebuilding? The only reall boon comes from reconstructing better and smarter, but the cost is higher. Today, Lennar reported new orders for homes up 8% and dollar value up 14% Y/Y. Lenar’s results come a week after rival KB Homes beat revenue and earnings estimates. Also look at the graph for the whole year so far, same tendency! I order to find out which way the construction spending wind is blowing, give me raw Y/Y #’s from a group of Homebuilder’s earnings press releases over Census Bureau #’s any day. From above August 2017 (SAAR) residential construction $529 billion. Lennar revenue was $11 billion (2016). Cherry picking a few builders while ignoring the whole … or the concept of survivor’s bias tells me all I need to know about your “analysis”. I mentioned Lennar and KB Homes. I could have added Pulte, DR Horton, Toll Brothers and others. They re all doing very, very well. That’s my reality right now. Obviously yours is different. I am living in the present. You, on the other hand, have been waiting on Armageddon for several years. So yes,our analysis is different. My two cents worth for the building industry from the lumber buyer for a major component manufacturer in Michigan. The lumber market is already being hugely impacted by the natural disasters of this summer and early fall. Canadian fires have put Machine Stressed Rated wood (MSR) at a premium due to short supply, with prices up easily $100 per thousand board foot. Spruce prices are up $70/M or more. Trucking is in short supply, with FEMA paying truckers $8 a mile, and the lumber industry typically pays $2/$2.50 per mile. The market knows huge rebuilding is coming down the road. Mills already have a healthy order file, with high demand due to busy construction. I don’t see prices coming off a whole bunch, maybe a bit in early winter. It’s been one of the most challenging times to buy lumber, and I’ve been doing this since 2005.